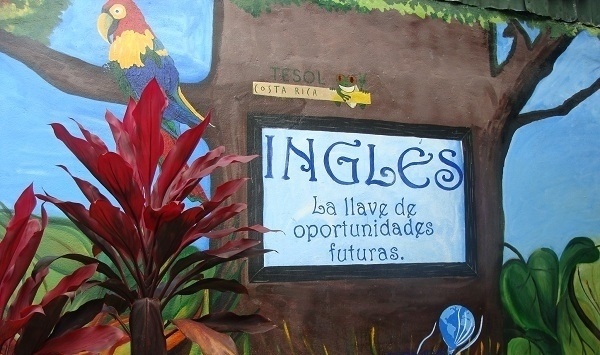 Looking to teach English in Costa Rica? Why not?! This beautiful nation in Central America offers a tropical climate, beautiful beaches, lush rain forests and historic cities. It is also one of the strongest job markets for teaching English in Latin America. One critical matter to learn about no matter where you decide to teach English abroad are visas and/or work permits that you might need to acquire to teach English. Visa requirements and practices vary from country to country so it's important that you learn what the exact policies and practices are in each country that you are researching. So, What Type of Visa do I Need to Teach English in Costa Rica? Tourist visas are the most common for English teachers to work on in Costa Rica, however, they have to be renewed every 90 days. To renew a tourist visa in Costa Rica an English teacher will need to leave the country before his/her tourist visa expires by visiting a neighboring country. Upon entry back into Costa Rica the teacher’s passport will be stamped with a new tourist visa. 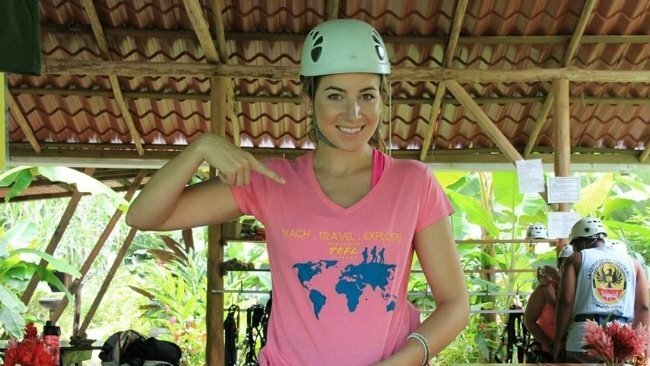 Working on a tourist visa in Costa Rica is different than most countries as it is technically legal to do so because teachers are allowed to “sell their professional services” without getting a work visa. For Americans, Canadians and most citizens of Western European nations, you can obtain your tourist visa upon arrival in Costa Rica. To check if citizens of your country can obtain a tourist visa upon arrival, please contact the Costa Rican consulate in your country of residence. Don’t tell customs that you are there to teach English or work. Why? Since you don’t have a work visa and are traveling on a tourist visa, you are not legally allowed to work in the country yet. Since you are traveling on a tourist visa you need to be a tourist when you go through customs. Don’t bring a suitcase full of teaching materials. Why? If you pack suitcase full of teaching materials and books titled “How to Find a Teaching Job in Costa Rica” and your bag is randomly searched, customs will most likely know that you are not there as a tourist. Pack a modest amount of materials that will get you started as a teacher in Costa Rica. Do tell customs that you are there on vacation and that you are a tourist. Do have proof that you are leaving the country before your tourist visa will expire. The Tributación is a government office that oversees income taxes in Costa Rica. Each city in Costa Rica has a branch and it is important that you register here in order to receive a tax identification number. This enables you to work legally in Costa Rica though you will still need to leave the country every 90 days to renew your tourist visa. Teachers in Costa Rica only have to pay taxes if they make more than $8,000 per year so many do not end up having to pay taxes, but you still must be registered in order to work legally. NOTE: many teachers and schools find creative ways to report just enough income to avoid paying taxes. You do not need to wait until you have a job to register however, you do need to have a local address. You must visit and register at the Tributación in the same city as listed in your local address. Bring your passport, a copy of your passport, and your local address in order to register. Once you receive your tax number, take it to a print shop and have a book of receipts made. This is how you will log your hours. Each time you receive payment from your school, you will give them a receipt from this book. PLEASE NOTE: The information in this article is correct as of the time of writing, however visa policies and practices are subject to change at any time. We recommend that you speak to an International TEFL Academy Advisor about visas and teaching English abroad and bear in mind that the final authority regarding visas, work permits and labor laws will be the government of each individual country. You can speak with an expert TEFL advisor by calling 773-634-9900. 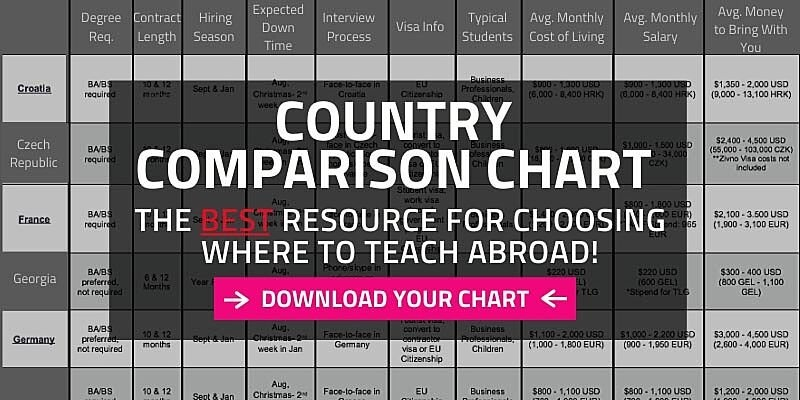 What Documents Will I Need When I Teach English Abroad? Check out dozens of articles about visas, documents, passports & more! About the author: John Bentley is a Senior Admissions Advisor at the International TEFL Academy He holds a BA from Harvard and an MSJ from Northwestern University's Medill School of Journalism. While at Harvard, John wrote for the Egypt-Israel edition of the famous Let's Go! travel guide series and he has worked in the fields of international travel and education throughout his career. He also grew up in Egypt and has traveled to more than 50 countries around the globe.